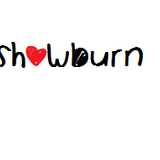 Welcome to ShowBurn with Lizzie and Andrea, home to all that&apos;s fetch in entertainment. We&apos;ll chat about the latest music, films, TV and pop culture phenomenons in Fresh Entertainment, play new music and classic tunes in Best Of. And that&apos;s why the show is so big, it&apos;s full of gossip.